I am Carol Kasser, also known as Bubbie the Book Lady. Using puppets, crafts and participatory storytelling, I bring books alive for children. 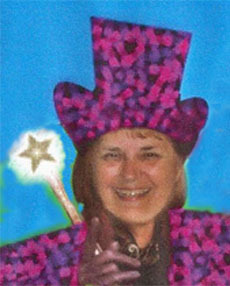 I perform at libraries, parties, pre-schools and elementary schools. I also do educational workshops in which I guide students at all levels through writing or illustrating their own stories. I am available in Eastern Pennsylvania, New Jersey and Delaware for one day workshops, and nationwide for longer programs.